Metal wreath hanger with bow & jingle bells. Assorted 4 each: red, gold & silver. 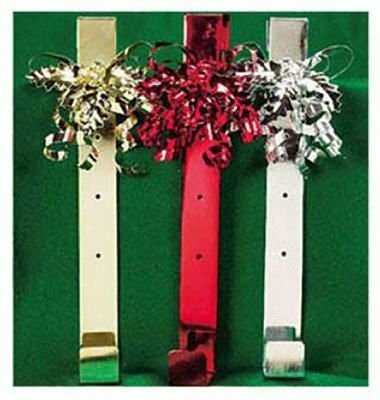 Size: 15" Metal wreath hanger with bow & jingle bells Assorted 4 each: red, gold & silver. Assorted 4 each: red, gold & silver.